Calling all college alumni or people with student debt! Are you a student or recent grad still looking to fight for public higher education? Are you interested in learning how student debt and higher education will play into the 2018 elections and 2019 legislative cycle? Join PHENOM and our partner the Hildreth Institute to answer all of these questions on August 8th! 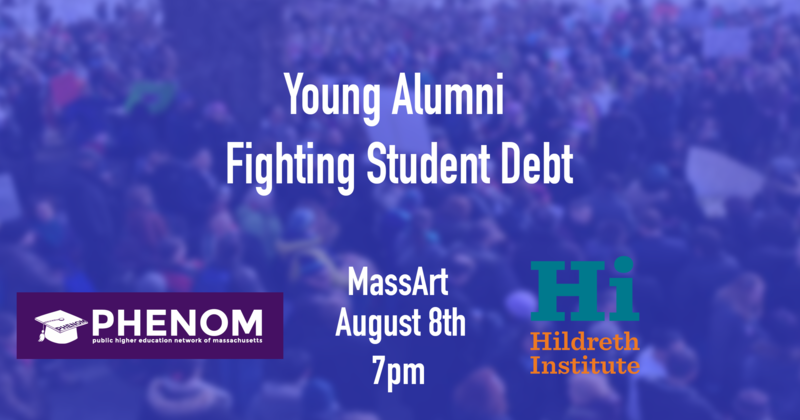 Mix and mingle with other alumni, share your personal story, and connect with others pushing for a debt-free system on the road to free public higher education for all. We will also share recent poll results and the prospects for justice in our higher education system. One lucky attendee will even win one month's loan repayment courtesy of Bob Hildreth!